Yesterday was International Women's Day. I think it's the first year that I didn't receive a bunch of mimosas but I don't really mind because from breakfast until dinner, my husband and kids took over. Breakfast, like all days, my husband prepared everything, lunch was in the woods with simple tramezzini (triangular sandwiches) and gelato while dinner was pizza al taglio that my husband and kids ordered take out from our local pizzeria. And to conclude the celebrations, we had a proper lunch at a good cozy restaurant today. I think all these treats were much better than any bunch of mimosas, don't you think? For two straight days, I didn't light up the stove at all (well maybe just to make the espresso). It was strange to be on a holiday from kitchen work but hey, I can get used to this. 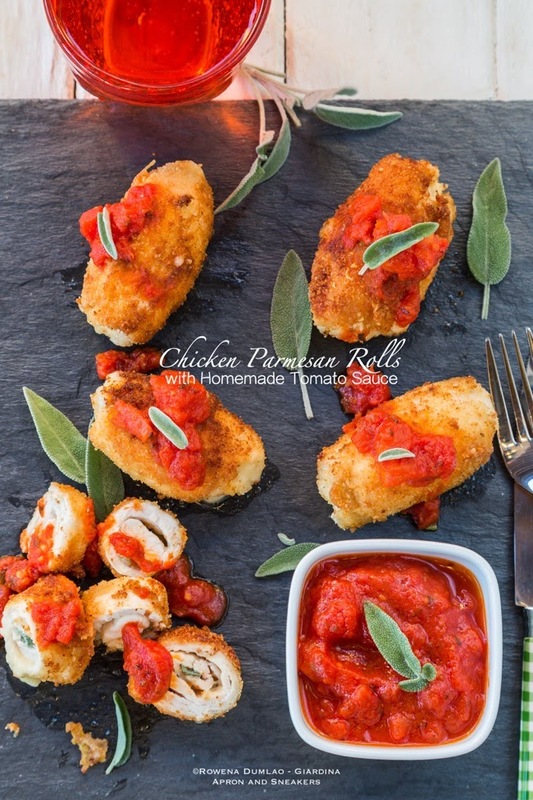 Just to be sure that I don't get totally carried away from my brief hiatus, let me share with you these Chicken Parmesan Rolls with Marinara Sauce. 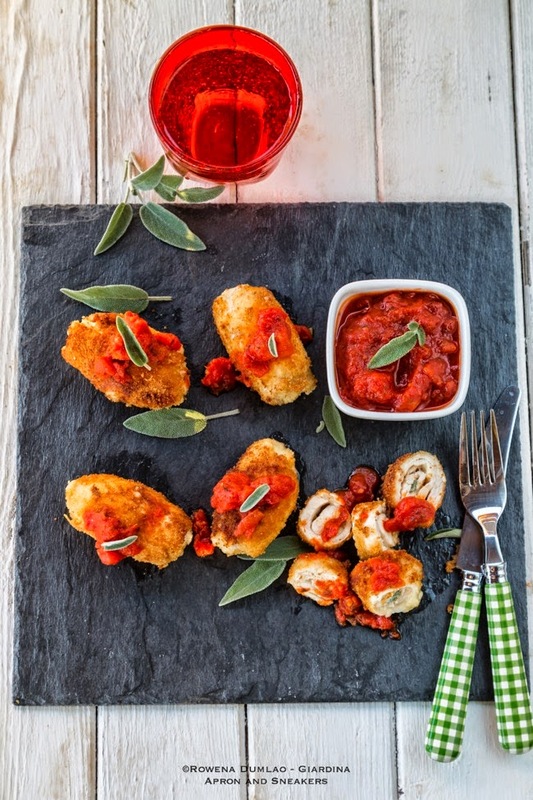 These are tasty chicken stuffed with Parmesan cheese and sage leaves and served with homemade marinara sauce. Of course that all depends if you feel like making it yourself. My advice? Make it because it is very easy to cook so there really is no need to buy yourself the ready-made ones unless you really don't have the time. You can make the sauce ahead of time and store some portions in the freezer for future use for pasta, pizza or whatever dish you would like to use it with. I usually keep mono-portions in my freezer for emergency cases. 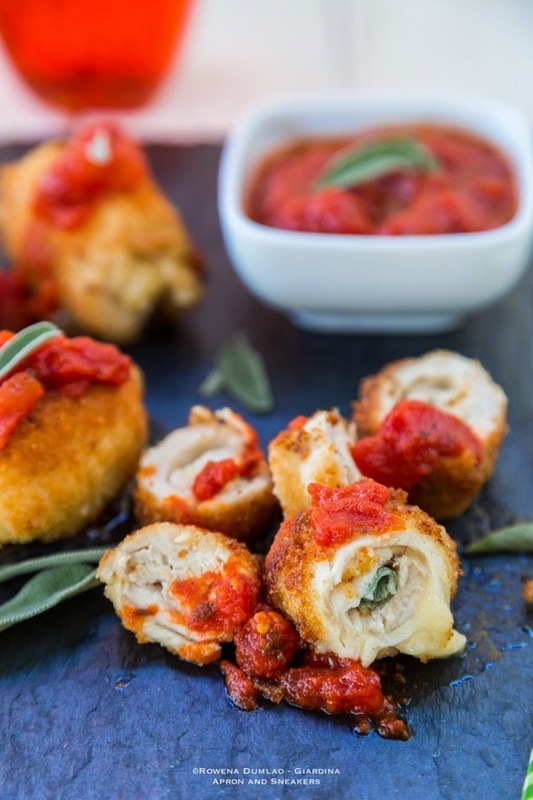 You can get the Chicken Parmesan Rolls with Homemade Tomato Sauce that I created for Skinny Ms., a site dedicated to healthy living. Have a wonderful week!